Research shows a natural cooling cycle that occurs every 230 years began in 2014 and will send temperatures plummeting even further by 2019. Scientists are also expecting a “huge reduction” in solar activity for 33 years between 2020 and 2053 that will cause thermometers to crash. Both cycles suggest Earth is entering a global cooling cycle that could have devastating consequences for global economy, human life and society as we know it. If predictions of the world-wide big freeze come true, the plot to 2004 film The Day After Tomorrow would not be far from reality during winter. During winter, entire major cities – such as London, Paris and New York – would be subjected to sub-zero temperatures, ice and snow for months. Millions of lives would be at risk of prolonged blackouts, food and electricity shortages and cold-related health problems. David Dilley, CEO of Global Weather Oscillations, told Daily Star Online global warming and cooling cycles are determined by the gravitational forces of the Earth, moon and sun. Each cycle lasts around 120,000 years, with sub-cycles of around 230 years. 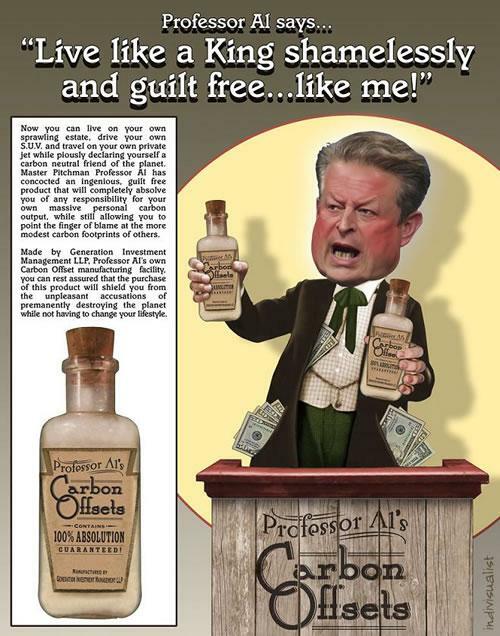 Talk about an inconvenient truth - Al the Goracle has ever been one to let reality interfere with his fear mongering and money grubbing.